Check Out Our Great Yelp Reviews! Check out what people are saying about us! " Your Premier Chiropractor in Boston, MA. 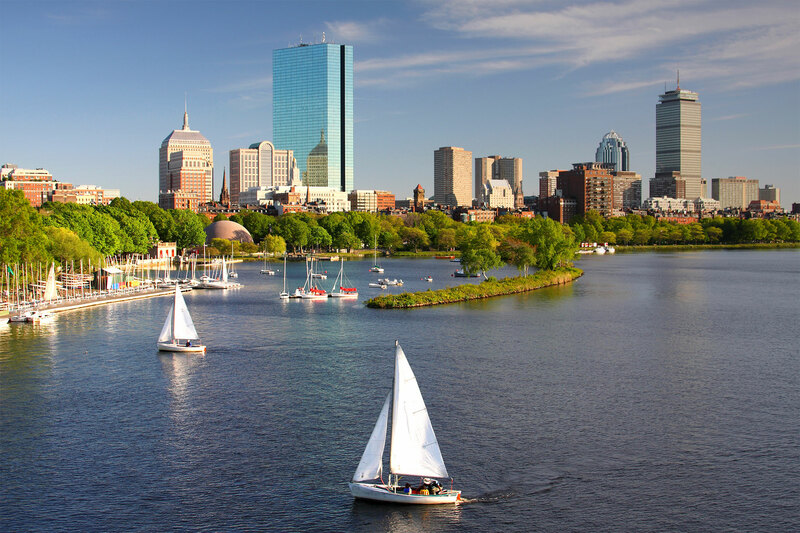 Whether you're a regular Chiropractic patient or this is your first time seeing a Chiropractor in Boston you'll find that Copley Square Chiropractic is exactly what you've been looking for. Our goal is to get your body working properly again, whether it's just to sit at your desk without pain or to start exercising again, we can improve the form and funtion of your body. Take your time on our site and learn about our innovative approach. Feel free to ask us any questions you may have. Please have a look at our success stories and our great reviews on Yelp! For the quickest response please call one of our office managers Nicole or Diane and they'll answer any questions that come up. If you're looking for more info on our office please check out our Facebook page and our Blog! I saw Dr. Lauren Doscher for several months to be treated for frequent headaches. Before seeing her, I suffered from headaches on a daily basis. I essentially lived with headaches every single hour of every single day. With Dr. Doscher's help, I am now headache free! Any time I start to feel one coming on I just make an appointment with her and it goes away immediately! I am so thankful to her, because I am no longer taking pain medication every day and can live my life worry and pain free. Dr. Lauren Doscher is the best chiropractor I have ever been to! I received treatment from her and have been asymptomatic and pain free ever since! She even gave me exercises to do at home to maintain my back health. I've been to other chiropractors before, but the pain always seemed to come back. Dr. Doscher is really good at explaining things to you, listening to you and customizing your treatment. She is very personable, detail oriented and thorough. I highly recommend seeing Dr. Doscher. She's got your back! Dr. Lauren Doscher has worked miracles with my back. It bothered me for over twenty years and nothing seemed to help long-term. Through one of Dr. Lauren's community outreach presentations, I was fortunate enough to hear her speak. I later visited her office and she began to help me work through my back issues. Her care is second-to-none and holistic in nature. Each visit was personalized to my current needs whether it was tight hamstrings, lower back pain, or sciatica pain in my legs. Within a month of care, my twenty year pain was gone! I never felt better! The best part of Dr. Lauren's treatment is her genuine care for the patient. She is not a chiropractic robot repeating the same treatment on every patient. She tailors her treatments to the patient's needs. I once came in for my treatment on crutches due to a badly sprained ankle. She immediately recognized and provided me with a 30 minute ankle treatment which probably saved me $100's of dollars at the doctor and helped my ankle heal in half the time. I recommend Dr. Lauren with absolutely no hesitation. She is the best because she truly cares! I've been seeing Dr. Doscher for about 3 years for sporadic lumbar pain and other mobility issues. Her knowledge of the profession and holistic approach to solving my weak points has worked wonders. I'm 5'11 190lb highly active muscular build male, and despite her size has had no problem adjusting me during our visits. Throughout our time she has impressed upon me the importance of full body care through stretching and strengthening my weak points which has greatly improved my day to day in and out of the office and gym. Her holistic approach to musculoskeletal health and friendly demeanor is why I continue to return to Copley Chiropractic. I recommend a visit if you have questions (from the conversations I've had and overheard all of the doctors are highly knowledgable and very friendly) or are looking for a change. Oh! and the office is conveniently located and comfortable. I can't speak highly enough of Dr. Doscher. I've had a full year of hip pain (hip rotation) that has severely limited my ability to work and do everyday activities, and a different chiropractor and several physical therapists weren't able to do much for me. Dr. Doscher's combination of adjustments and deep muscle work have made an enormous difference. She clearly has excellent knowledge of the interactions between muscle groups and skeletal alignment, and her bedside manner is great. She takes her time to make sure I understand exactly what she is doing, and really works with me to come up with the best plan. Though I had never had manual adjustments before, I feel completely safe working with her. She always tells me exactly what she is going to do, and asks for feedback to make sure her massage is not more intense than I can handle. I've also found it very easy to get an appointment with her. On my first visit, because I'd already seen so many specialists, she made sure to set a time frame in which we'd expect to see progress, and planned to help me figure out the next steps for care if her technique wasn't helping me. I'm doing well working with her, so that hasn't been necessary, but the fact that she anticipated that concern of mine spoke volumes about her commitment to care and her sensitivity for her patients. Dr. Piretti is wonderful -- professional and reliable, he genuinely cares about your needs. It's so nice to have a physician that's sensitive to your schedule! I have had experienced a few PTs/Chiropractors in the past, but Dr. Piretti is by far the best care I've received. Highly recommend his practice to those in need! I had a very good and positive experience with Dr. Piretti. He is very knowledgeable, informative and professional and I would recommend to any of my friends and colleagues. I found both Dr. Piretti and Laura to be extremely helpful, supportive, and responsive to my needs. I had absolutely no waiting time and was welcomed into a very warm, receptive environment. Dr. Piretti is attentive and proficient, relieving me immediately of my neck pain. I highly recommend! Dr. Piretti has been an essential resource for me, mentally and physically, as I started training for and competing in triathlons a year ago. My endeavor to complete a sprint-length triathlon was made especially challenging due to my prior lack of experience with sports and the stresses the body endures while training and competing. From day one, I've been able to rely on Dr. Piretti to answer questions about unfamiliar training-related aches and pains and to provide appropriate chiropractic treatment that allowed me to safely train at high intensity levels. In fact, I felt so good midway through the season that I decided to do a half-Ironman distance triathlon. I don't believe I'd have been able to cross the finish line without Dr. Piretti's expertise. Dr. Piretti and Laura have always been welcoming and professional. I highly recommend Copley Square Chiropractic to anyone seeking preventive or therapeutic chiropractic treatment for any reason. As evidenced by the other Yelp reviews, Dr. Piretti is clearly knowledgeable about a wide range of health care issues for patients of all types, not just athletes and sports-related treatment. I've generally been skeptical of chiropractors after I went to a few where I live. One tried to charge me for treatments that would basically elongate my back (??) at $60 per session... four times a month. I've also gone to one that wanted to take up my Saturdays with "wellness seminars" that he swore were "part of the healing process for the spine". My spine prefers to sleep in on Saturdays. Dr. Piretti was a breath of fresh air compared to those other guys. I travel a lot and have a weird curve in my back so at times it can get painful. On an extended stay in Boston, I went to Dr. P after reading the great reviews on this fine website and was blown away. He did a great job and didn't try to up-sell me on weird treatments that didn't make sense. He's also very easy to talk to and he explained things in way that I could understand them. I highly recommend him to anyone in Boston or who is just passing through. Dr. Piretti's adjustments to my neck and spine have been gentle yet effective in relieving my TMJ symptoms. Short yet effective appointments, and he even takes my insurance. Dr. Piretti and the front desk staff have been friendly, caring and helpful. Everyone's review is right on par. I've been going here for about a month now and my experience here has been incredible. They're really flexible with times and scheduling and not to mention the incredible staff. The receptionist is so nice and always has a smile on her face. It's a great environment to be in, and super close to the Back bay/Copley station. Dr. Piretti really understood my back issues and reassured me that I would be okay. He's super friendly and extremely professional. I've been to my fair share of chiropractors and he really helped me out the most. They also take insurance, I have Blue Cross and only pay a 25$ co-pay when I come in. This was my first visit with any chiropractor. This office has exactly what I like at any medical location; streamlined history and intake forms, polite staff, and prompt appointment time. The doctor/Luke is also very personable. In terms, of expertise, he answered all of my questions and even left me with some new questions to think about. I had an excellent experience, but most importantly, my back is feeling better every day. I've been going to Luke now since January...he's great! Not only did he help with my backpain, but has given me some great advice on improving my overall health and living a healthier lifestyle. He's personable and laid-back, his staff is also lovely, and it's usually pretty easy to get a last minute appointment. I would definitely recommend him! I saw a great chiropractor years ago in California after a car accident and haven't been to one since although I think they are great. Lately my neck has been in pain, hurting when I turn it to the left and leaving me with headaches. Meeting Luke, after finding him through my insurance, was a surprise, he's young, hip and full of energy but he knows his stuff. His staff is extremely sweet and accommodating, working to get me a last minute appointment. He explained what was wrong and the treatment it would take. No up-sells and he is working his magic on my neck. The headaches are gone and I am more aware of my bad practices that got me to this point. See Luke, he won't disappoint.